It's a celebration of summer! Fancy Batman: Arkham City Lockdown? Midway Arcade? Something else? Three of those - Scribblenauts Remix, Man of Steel and Arkham City Lockdown - are also on sale at Google Play. Is there some reason you're still here? Have you no soul? 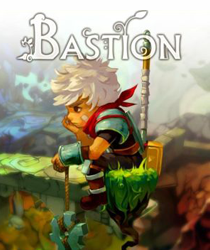 Do you need to be reminded about Bastion's brilliant soundtrack? GET THEE HENCE!